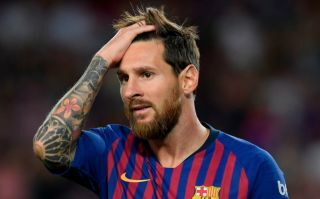 Barcelona remain on course for a successful season this year, but Lionel Messi is reportedly unhappy with the current make up of the squad and wants changes. The Catalan giants sit top of the La Liga table and their Champions League group currently, but they are on a three-game winless streak in the league and question marks have been raised. They’ll hope that the win over Tottenham in midweek will help them get back on track, but according to Don Balon, Nelson Semedo, Arturo Vidal, Ousmane Dembele and Thomas Vermaelen could be at risk of being axed in January as Messi is said to want the club to reshuffle the pack. Semedo and Vermaelen are obvious choices. The former continues to fall short of establishing himself at right back with Sergi Roberto often used by coach Ernesto Valverde in that position too. As for the Belgian veteran, given his age and history with injuries, there is no real confidence that he can be a reliable and solid figure at the back when needed. In contrast, Vidal and Dembele seem a little trickier and questionable, particularly considering the Chilean international only arrived at the Nou Camp this past summer while Dembele has shown improved form so far this season. As noted by Marca, Vidal did cause a stir with his social media activity after the Tottenham win and so perhaps that could of sparked something for Messi to reportedly want an exit. Nevertheless, given Dembele has scored five goals in nine appearances so far this season, he would certainly feel aggrieved if he was axed now. However, it’s also worth noting that Barca looked to have a better balance on Wednesday night with Arthur in midfield and Phillipe Coutinho pushed up into the attacking trident. Coupled with the presence of Malcom in the squad who has yet to be used a great deal, that would suggest that selling Dembele could be an option. Time will tell if Messi’s reported wishes come true in January or beyond.